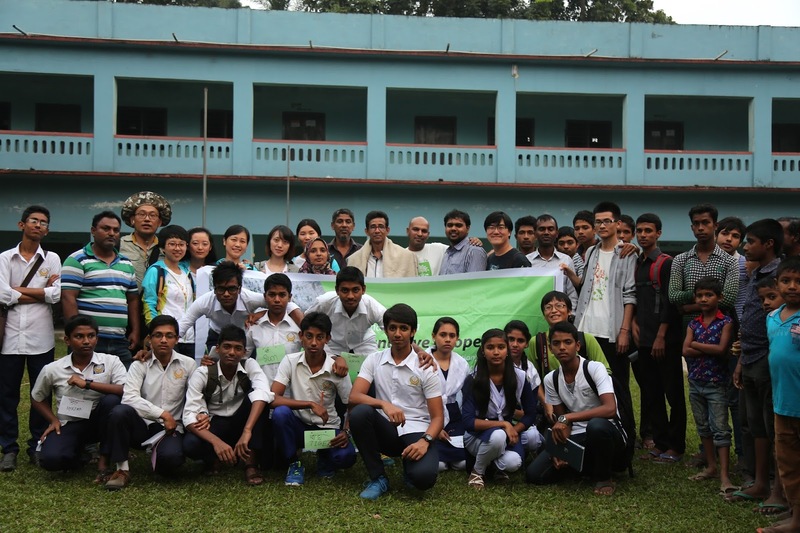 Delegates from the Chinese Mangrove Conservation Network (CMCN) have just returned from a ten-day visit to the Sundarbans hosted by our friends at the Coastal Livelihood and Environmental Action Network (CLEAN). The original idea came from MAP's Education Director Martin Keeley, when he visited both China and India this past summer to work on the continued spread of the Marvellous Mangroves curriculum. Mr. Liu Yi, executive director of CMCN, was looking for a location to take his staff to explore Asia's mangroves forests. Martin suggested to Mr. Yi and his assistant, Jessica Sun, that they contact Hasan Mehedi, executive director of CLEAN, so they could explore the wonderful Sundarbans mangrove forests. When Martin went on to visit Bangladesh to run another MM workshop, he also ran the idea past Mehedi. And so the seeds of the exchange were sown, and ended up with an exciting exploration of the Sundarbans, as well as visits to several schools in the Khulna region. The photos show the whole crew from both organisations, as well as CLEAN's Rezaul Karim Zitu leading the mangrove food web activity with one of the local schools. "Now the introductions and the explorations have been made, I am hoping this will lead to greater co-operation between the two groups as they continue spearhead the spread MAP's Marvellous Mangroves curriculum throughout both countries," comments MAP's Martin Keeley. Who was Jurin Rachapol & why was he murdered?